Obesity is a major public health issue with current trends leading to estimated UK incidence in 60% of men, 50% of women and 25% of children by 2050. It has a severe impact on people’s health, increasing the risk of type 2 diabetes, some cancers, and heart and liver disease. The direct cost to the NHS is estimated to be over £4 billion per year, and decreasing the incidence of obesity is therefore a priority for Government. Obesity results from a sustained excess net energy intake. The western diet of tasty, energy dense, high fat, high sugar foods appears to have reduced impact on the gastrointestinal signals that help promote feelings of satiety and fullness, leading to widespread overconsumption. Increasing the inclusion of dietary ingredients with enhanced effects on satiety may therefore provide an effective strategy to decrease energy intake, improve healthy body weight regulation and reduce incidence of obesity. One such natural dietary macronutrient with enhanced satiating properties is dietary fibre. However there are many types of dietary fibre, with rigorous on-going debate as to its precise definition, and attempts in the scientific literature to quantify its effects on satiety in human subjects are equivocal. 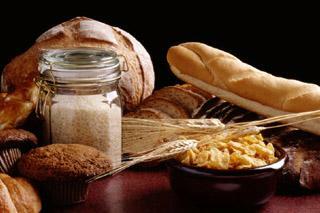 “Dietary fibre” comprises a myriad of complex carbohydrates that are indigestible by mammalian gut enzymes. They pass through to the large intestine where those that are soluble are broken down (fermented) by the resident gut microorganisms whereas those that are insoluble remain intact. Insoluble dietary fibre provides the physical bulk to gut contents that aids laxation. However, further knowledge is needed of the consequences of soluble dietary fibre and its fermentation products on gut physiology and hormone secretion. Satiety (feeling full after consumption of food) is critical since it determines the cessation of feeding and delays and/or reduces consumption at the next meal, thereby limiting overall caloric intake. This is achieved in part by the presence of food in the gut stimulating specialised enteroendocrine cells in the gut wall to secrete “gut satiety hormones” which then signal to feeding centres in the brain. Some successful current pharmacological approaches to appetite (and obesity) suppression involve exogenous administration of gut satiety hormones or their mimetics. However, encouraging enhanced endogenous gut satiety hormone secretion through appropriate macronutrient composition of the diet offers a potentially more sustainable, natural physiological approach. Indeed the ability to eat until satiated without overconsumption of calories is clearly an attractive proposition. However, an increased understanding of the interactions between dietary fibre and gut satiety hormone signalling is required before we can offer properly informed nutritional advice on inclusion of dietary fibre for appetite suppression and healthy weight management. Sustainability-oriented innovation for competitive advantage: Does the business environment matter?